You must be wondering if Toybank shut down its Bangalore operations. We apologize for not being in action for close to 5 months! The last event in Bangalore was on 21st of Dec for kids from Annanya. The Bangalore Chapter started on 18th Aug 2007. 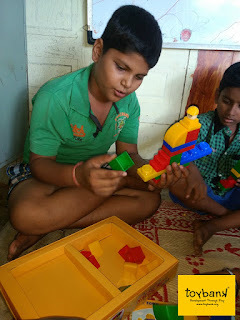 We had toy distribution events with Nele (18th Aug) and Makkala Jagriti (8th Sept), Swanthana , Suraksha Makkala Rakshane (2nd Dec) and amazing toy collection drives in Raheja Residency, Koramangala (22nd Sept) and Akme Harmony (5th Jan 2008) . We celebrated Children's Day with kids from Balajothi Centre for the Disabled, Benson Town. Also we had a fantastic time with kids from Annanya where we celebrated Christmas on the 21st of Dec! 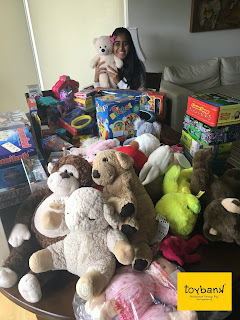 We are now looking for active volunteers in Bangalore and also a couple of coordinators who would arrange toy collection drives/ toy gift wrapping sessions and toy distribution events.